On behalf of the Board of Directors and Search Committee of the Canadian International School (CIS) in Bangalore, India, we are pleased to announce that after a worldwide search which produced a large number of highly qualified candidates, Dr. Theodore (Ted) Mockrish has been appointed as the new Head of School beginning in August 2018. Dr. Mockrish is currently K-12 Principal of Cebu International School in Cebu, The Philippines, where he has served since 2012. He has also held administrative and teaching positions in Kuwait, Taiwan, and in his home country in the USA for 14 years before moving to his present position in Cebu. Dr. Mockrish earned a BFA Degree from SUNY in New York, a Master’s of Education from Lehigh University in Pennsylvania, USA, and a Doctorate in Educational Leadership, also from Lehigh University. The CIS Board of Directors, Search Committee and Search Associates would like to thank all candidates who expressed interest in the Head of School position, and to everyone who assisted and supported the search process. 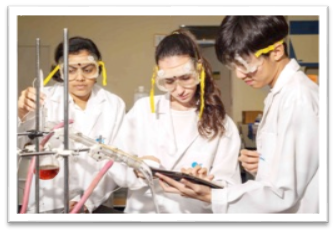 The Canadian International School (CIS), Bangalore, offers education from Kindergarten to Grade 12, nurturing students into well-rounded individuals who possess highly developed physical, social and intellectual skills, as well as a winning attitude. 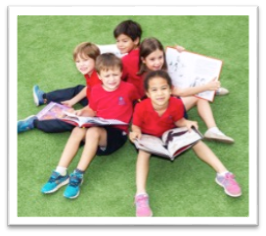 Through our international curricula and superior learning experience, we have built a community that demonstrates high levels of academic achievement along with respect for social and cultural values. We have students from over 40 nationalities and have foreign-trained and experienced teachers. Our method of instruction is student-centric, with teachers providing an atmosphere conducive to active learning. 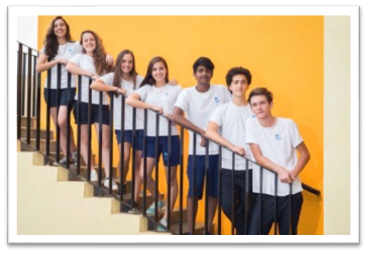 Founded in 1996, CIS has evolved into one of the pre-eminent international schools in India. Located in the bustling, ever-changing city of Bangalore, we have matured in line with this changing landscape and sit well positioned to afford a first-class education to the wide range of students who now attend. Bangalore is located in South India and is sometimes referred to as the Silicon Valley of India because it is India’s leading Information Technology hub. Recently Bangalore has been declared the start-up capital of India as well. It is also considered one of the most expat friendly cities in India. With a population of 8.5 million, Bangalore has a host of good restaurants and coffee shops, movie theaters, community theatres, and many opportunities for outdoor sports and recreational activities. Short weekend getaways via road, rail or air are popular and affordable. Located on a plateau, Bangalore usually enjoys a moderate climate throughout the year. Winter temperatures rarely drop below 14 °C, and summer temperatures infrequently exceed 36 °C. CIS is a culturally-rich mosaic serving each student by providing a world class international education, nurturing potential, developing life-long skills, and preparing students for an ever-changing global community. Shaping the future, together, today! 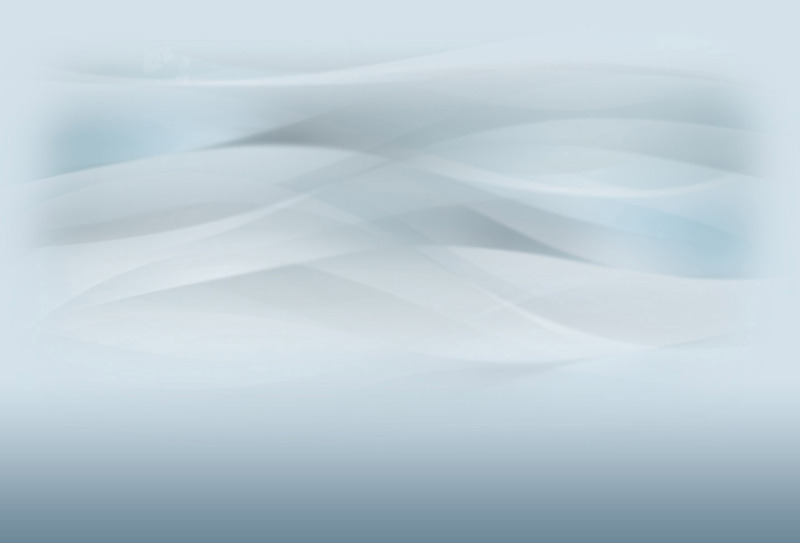 Our strategic plan is divided into five Strategic Directions. Each strategic direction has its own Key Result Areas (outcomes) and Key Performance Indices and is accompanied by Strategies for accomplishing the outcomes. 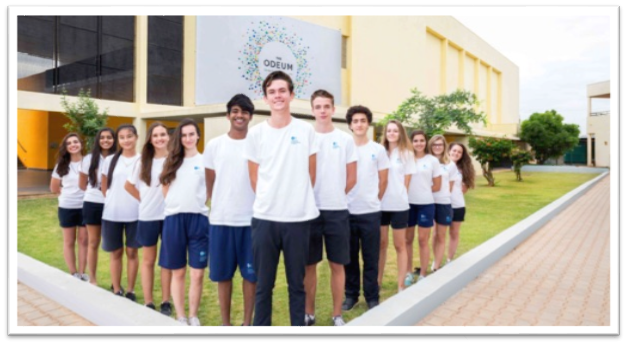 International Baccalaureate Organisation (IBO) in Grade 11 and 12 – we were the 1st school in Bangalore to offer the IB Diploma program, back in 2001. CIS is at the cutting edge of technology in education. We were the 1st school in South India to introduce the 1:1 iPad integrated teaching and learning program back in 2011. At CIS, teachers and students use their iPads to enhance the educational experience. In our Early Years and Elementary programmes, iPads are used under teacher supervision at learning centres like the technology suite, to learn, explore and create. Starting from Grade 6, students enter our 1:1 iPad program and continue until grade 12. All course content for these grades is delivered via the devices, textbooks, subject specific content, videos, and other resources. Teachers are required to put up their course content on iTunesU. We received both accreditations in 2010 and have successfully completed the 1 year, 2 year and 5 year reviews. The next review/visit will be in 2020. We have close to 110 teachers on campus, about 40% of our teaching staff are expats. our Indian teachers, the vast majority has experience teaching in international schools either in India or abroad. We have just under 700 students enrolled at CIS, from over 40 nationalities. 40% of our students are Indian, 14% Japanese, 13% American, 10% French and the balance divided amongst the other nationalities. We are expanding our Middle School grades 6, 7 and 8 (adding 1 section each) in August 2017. As a result, we have only 3 other grades close to waiting list status. We have a student residence located on campus for grade 6 to 12 students. Currently, about 90 students live in our boarding facility. CIS is located in North Bangalore on a 15-acre lake front property, away from the bustling city center. Tucked away about 1.5 kilometers from the highway to the international airport, the campus offers a calm and serene environment with crisp, clean air and a myriad of flowering shrubs and pristine trees. We have 76 air-conditioned classrooms, each equipped with WiFi routers, Apple TVs, Mac Mini computers and projectors. Reading corners are available in all Elementary and Middle School classrooms with books and beanbags for comfortable reading. Students have access to the Elementary Technology Suite, High School Technology Suite, maker space, multiple computer labs, art rooms, music rooms, drama rooms, ESL/EAL rooms, a number of science labs, and language rooms. 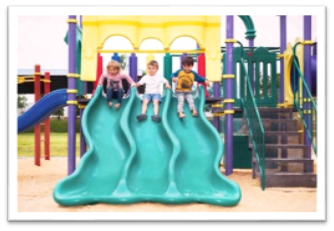 There are multiple play areas on campus, custom designed for Kindergarten students, Elementary, Middle and High School students. Sports facilities include a larger than standard size, turfed soccer field, 3 basket ball courts, 2 turfed tennis courts, a 6 lane swimming pool, yoga room, weight room, and badminton court. 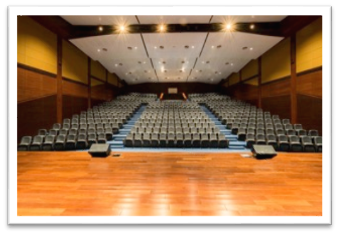 We have a 470 seat, state-of-the-art performing arts theater on campus. CIS is a consciously green campus with solar panels on rooftops that produce enough electricity to cater 100% to the needs of the school. Excess electricity is exported to the power grid and distributed to villages and homes around the school. There are 2 sewage treatment plants on campus that recycle water then used for the upkeep of our flora and fauna. A bio-gas tank produces gas that partially meets the needs of the cafeteria. Composting is done on a regular basis on campus and the compost is used to maintain an organic garden. Recycling programs are also given a lot of importance on campus. CIS is a proprietary school governed by its Board of Directors, who represent the ownership of the school. There are 3 Directors on the Board – Chairman, Additional Director and Executive Director. The Chairman and Additional Director visit the school once every month for a formal Board meeting with the Executive Director, Head of School and Division Principals (Elementary Principal and MS/HS Principal). The Executive Director is on campus 2-3 times a week. CIS also has an Advisory Council, which consists of members from diverse backgrounds who assist the school with perspectives, ideas and inputs for improvement. They work with the Board and the Head of School on the Strategic Plan. 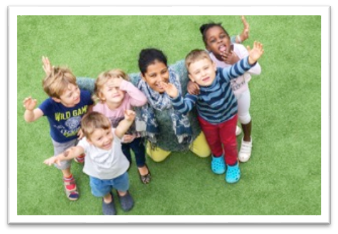 In this five-member panel, two are from the parent body (interviewed at the beginning of the year and serve for a 1 year term) and three from the larger Bangalore community. The Board of Directors appoints all members of the Advisory Council. The Head of School will be responsible for providing strong educational leadership to the school, to move it along its current growth trajectory, to achieve its vision of being recognised as one of the finest educational institutions in East Asia, while consistently delivering on its mission. He/She will be supported by the Board of Directors and will work closely with the Executive Director on a regular basis. Main responsibilities will include recruitment, supervision and evaluation of teaching staff; implementing Board Policy; supporting/enhancing the school’s focus on technology; managing, organizing and supervising all school activities; parent communications; Strategic Planning with the Board; and oversight of admissions, marketing, curriculum discipline, and pastoral care. CIS offers an initial contract term of three years (renewable), with a view for long-term appointment. The remuneration package is competitive and will be dependent upon the qualifications and experience of the successful candidate. Benefits include furnished housing, use of a school vehicle for personal and professional use, medical insurance, travel insurance, airfares at the beginning, yearly summer and end of contract, settling in allowance, shipping in and out allowance, tuition for school-age dependents, and professional development opportunities. CIS has appointed Search Associates as consultants, with Ralph Jahr and John Magagna as the lead consultants. The deadline for applications is July 31st 2017. However, if necessary, the Board reserves the right to extend the deadline to August 15th 2017. Candidates are asked to submit a letter of interest and the requested materials listed below as early as possible as the Board of Directors reserve the right to close the selection process prior to the deadline if the right candidate is found. Assuming the July 31st deadline, Skype interviews will be arranged and finalists will be chosen by August 10th, and interviews scheduled on-site for August 28th to 31st 2017. Search Associates will identify semifinalist candidates and their dossiers forwarded to the school for review on an ongoing basis. A letter of application, explaining your strengths as a candidate and why you are interested in becoming the Head of School at CIS Bangalore.